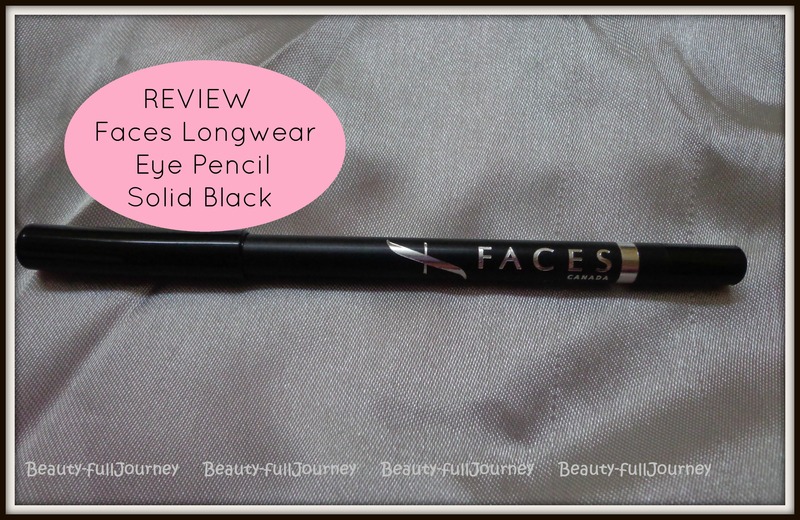 REVIEW,SWATCHES: Faces Canada Long Wear Eye Pencil – Solid Black. 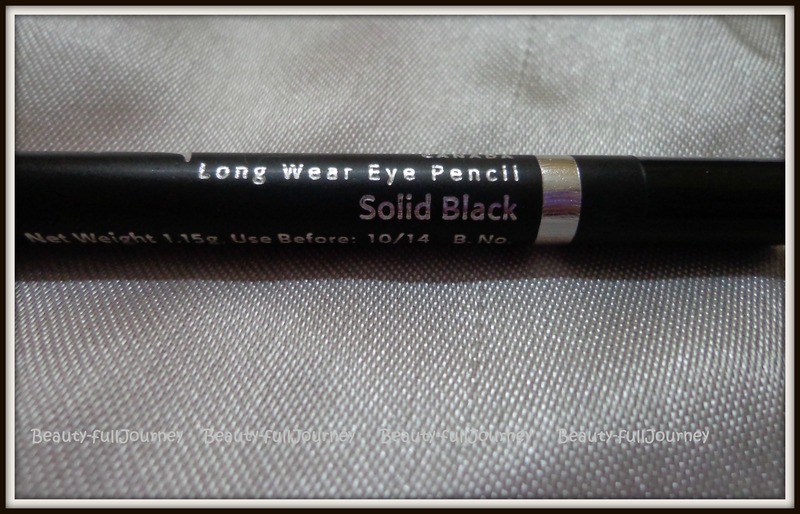 Faces Canada Long Wear Eye Pencil – Solid Black. Available at Faces counters and outlets. The other shades that I have are – Navy Blue, Purple and Metal Brown. 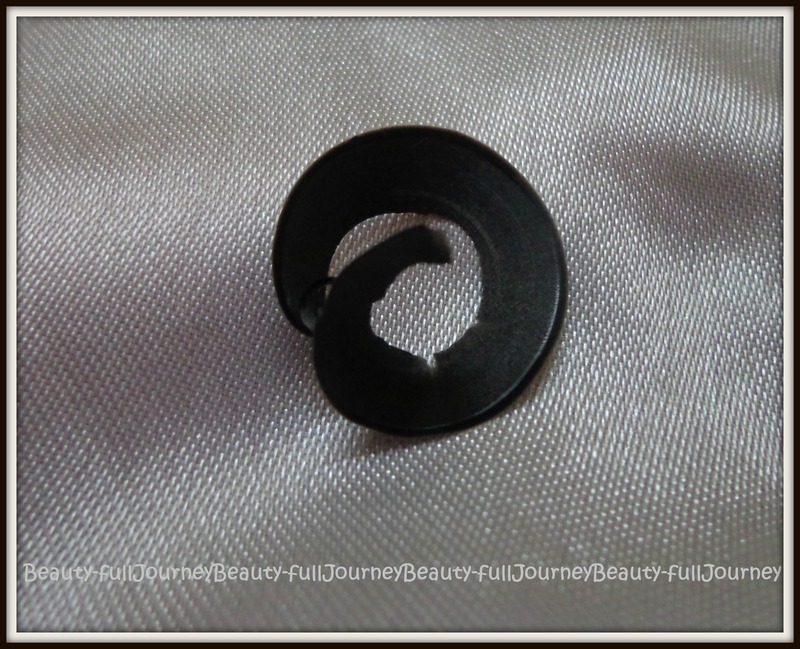 I was gifted Solid Black by a friend (Thank You Sajal :* Love you )!! 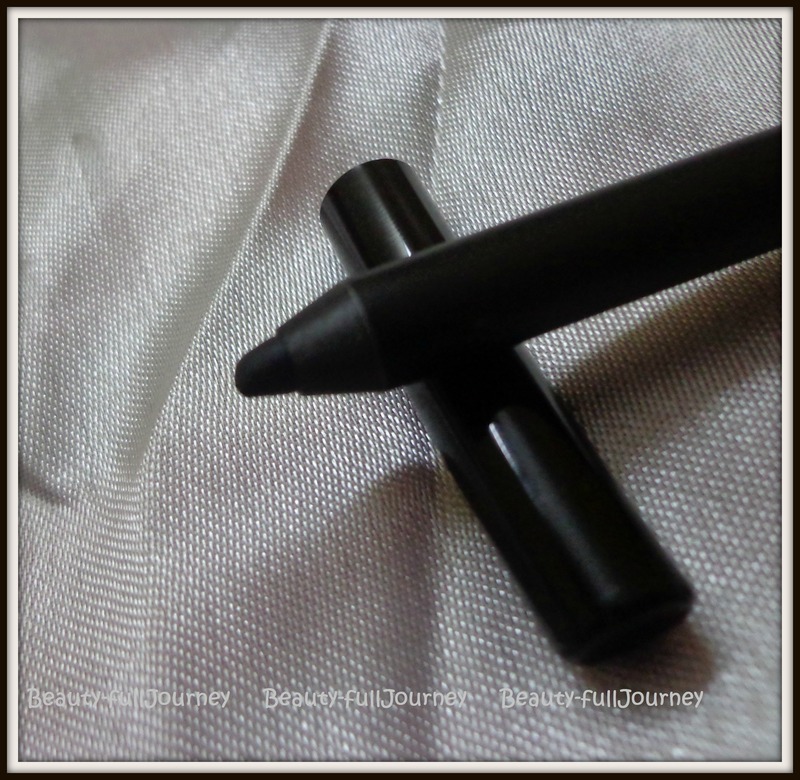 Since I use this as a kajal mostly and the others on the eyelid, I’ll be reviewing the black and other colours separately. Today I’m reviewing Solid Black for you all. 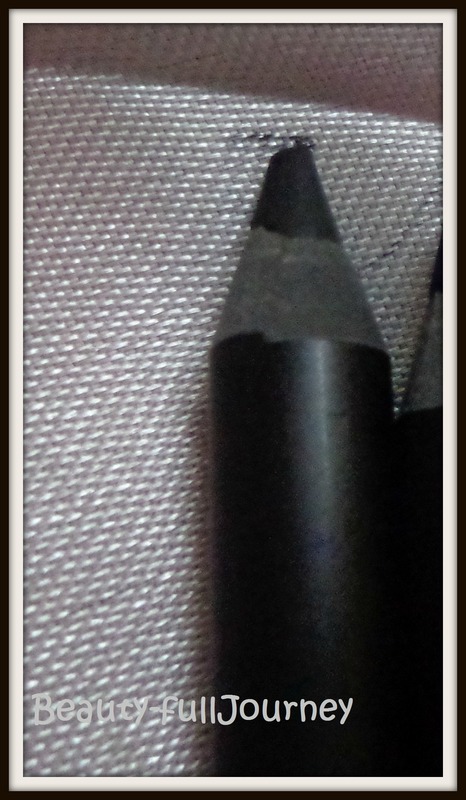 Faces eyeliners come in a black pencil body with the cap and tail of the same colour as the shade of the pencil. It’s a sleek pencil and its cap shuts tight so it’s quite travel friendly and convenient to carry and use. Since the tail and cap both are coloured, it’s easy to locate these pencils in a stash. The pencil is a sharpenable pencil and I prefer such pencils over retractable pencils so I can get a sharp tip and also these are more hygienic. Coming to the texture of this pencil, it is one of the smoothest pencils I have ever used. It just glides on the waterline like a breeze. Even on the eyelid it’s very easy to apply with no tugging. The pigmentation is absolutely amazing. With one swipe I get rich black colour! In the swatch shown, it looks glossy, but it dries to a matte, kindof satin finish and looks very good and richly pigmented. The pencil is definitely true to its name of being long wear! It lasts on the waterline of my very watery eyes easily for 4 hours. The pencil is totally smudgeproof and waterproof. Although on my waterline it fades on its own after 4-5 hours but on the eyelid I definitely need an oil based remover to remove this pencil after about 7 hours. For me the only con is that my eyes are very very sensitive, plus I wear contact lenses so I generally prefer to wear only those pencils meant to be kajal/kohls on my waterline. I have not faced any problem with this but just 1-2 times a slight discomfort and some transfer on lenses. Also, since this is extremely creamy, I need to sharpen it very often to get my kindof perfect tip. The pencil is very easy to sharpen and doesn’t cause any irregular edges on the pencil. 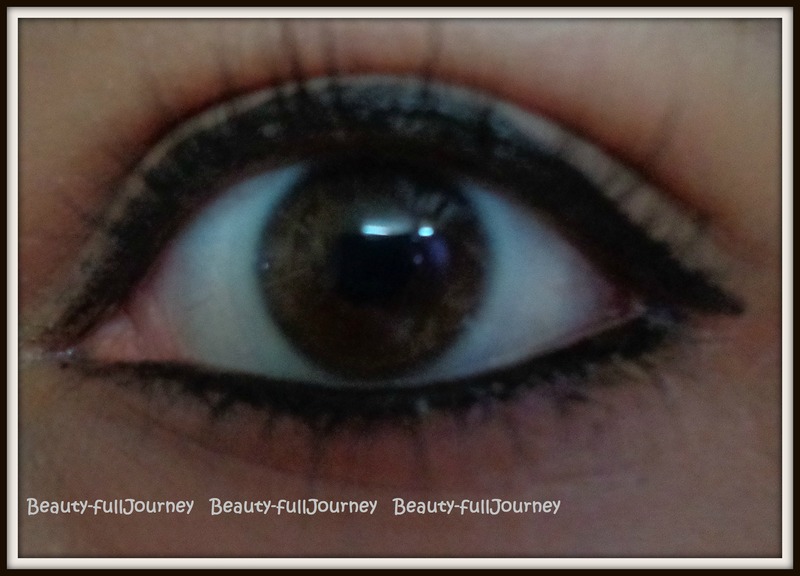 In the eye swatch, I am wearing it only on the waterline. Overall, it’s an extremely well pigmented pencil. 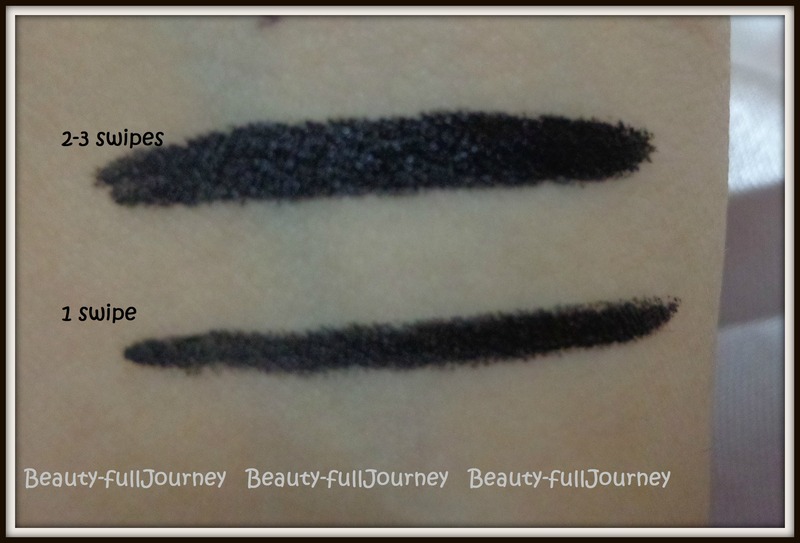 It glides on very easily and is very easy to apply. It stays on the waterline well and on the eyelid it stays till you remove it! Best drugstore brand pencils. Highly recommended. 1) It can cause discomfort for extremely sensitive eyes or contact lens wearers. 2) Needs to be sharpened frequently. < Previous Contest entry: My first successful attempt at nail art! Next > REVIEW: Bath & Body Works Body Lotion – Twilight Woods. Nice review Poorva. I am defi buying this next ..